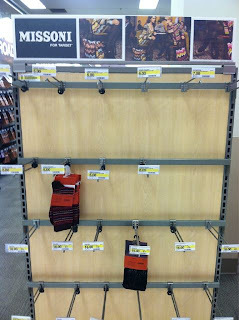 Missoni for Target madness hit Minneapolis, aka Targetville this morning. It hit it hard. Some of you got lucky, most of you didn't. Here's the Twitter recap. 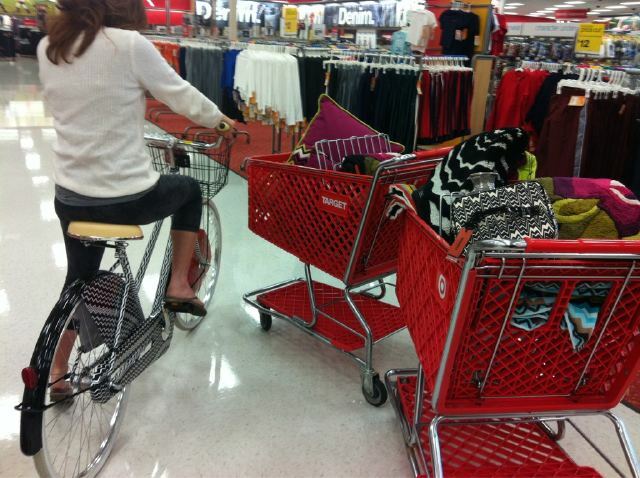 This is what most of you encountered if you visited Target after 10 a.m. But look who got lucky. Real lucky. And here's the photo of Little Marina, taken by Emma Berg at Downtown Target early this morning. We have no clue why they call her Little, she's 25 feet tall.